Being a financial assurance professional, when I first heard about the ‘Doing Good, Doing Well’ conference in Barcelona what came to my mind was transparency, ethical conduct and corporate social responsibility disclosures in financial statements. My experiences made me aware of the significance of corporate social responsibility as a means of making companies’ impact on the society measurable. There is a clear need for ethical oversight and as a result this has increased regulations and thus expectations from companies. Corporate social responsibility is one of the major challenges that companies are facing and will face in the near future. While not harming the environment, trading fairly and transparently, and complying with regulations are all good practices to be followed by companies to maintain a friendly profile and avoid any bad publicity, is this enough? Does this mean that they are actively pursuing sustainable practices? The perception so far has been that being responsible for their footprint on society compromises their profitability, and this is also the interpretation of the conference’s title. The big challenge that companies face is to do good in terms of sustainable practices but also to do well in terms of performance. Having been given the opportunity by Cranfield University’s Doughty Centre for Corporate Responsibility to attend the conference, I registered and then came across a competition that was being held as part of the conference: “How can 3D printing can make industries more sustainable?” At first I could not see the relation between 3D printing and corporate social responsibility. What does 3D printing has to do with trading fairly, respecting the environment etc? After registering our team for the competition we thought it would be a good idea to start our research from the engineering department of our University. 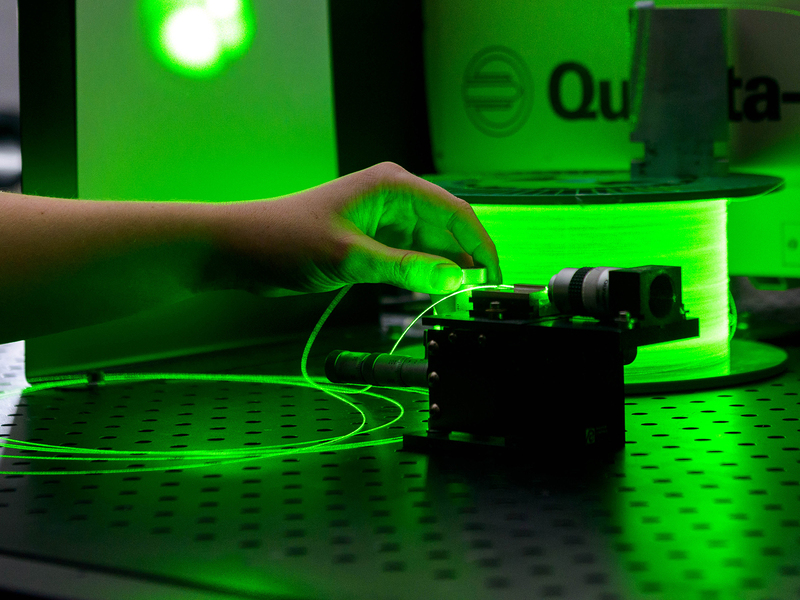 We visited Dr Mariale Moreno, a research fellow in Cranfield University, and discussed with her the potential of 3D printing and the University’s research and expertise in this area. After our visit we had made up our mind on what we would be submitting for the competition. Our proposal to HP was therefore ‘how 3D printed spare parts can disrupt the washing machine production by extending the useful life of the machines and thus reducing waste in materials and excessive carbon emissions embodied in washing machines’. Currently washing machine manufacturers comply with all regulations and disclosures but we know they could do much better. Are companies opting out of some sustainable practices because to do so would cannibalise their profits? The opportunities for producing more efficiently are untapped but there is no legislation for forcing companies to adopt the best practices available. It can be safely assumed that some companies are aware of the more sustainable options available but, in the absence of any regulation or any risk of bad publicity, would be reluctant to sacrifice their revenues to adopt those more sustainable practices. Our proposal for the competition was selected to be presented in the conference and thus we had the opportunity to go from bystanders to participants for a while. The magnitude that such an option can have in the manufacturing industry captured the interest of HP management team although the obstacles relating to influencing regulations are even bigger. The washing machines case study represents a small example that happened to come to our attention – but of course there is a lot of scope for adopting more sustainable practices in many aspects of business. 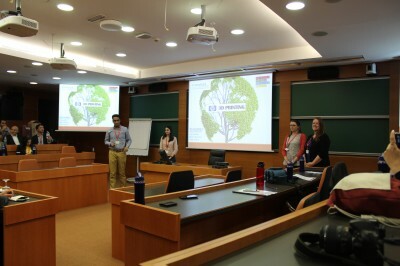 During the speaker events and workshops we attended over the two day conference we had the opportunity to learn about new ideas and new dimensions of sustainability. Sustainability can be delivered by someone like the head of infrastructure in Europe for Tesla, which is aimed at launching cars with the highest possible efficiency and environmental friendliness but also by someone like the head of innovation of Caixabank, for whom innovation is a challenge to be embraced if they wish to survive in the era of fintech disruption and non-conventional banking solutions. Sustainability can also be delivered by Pope’s encyclical “Laudato Si” that covers a wide range of traditional and innovative issues. 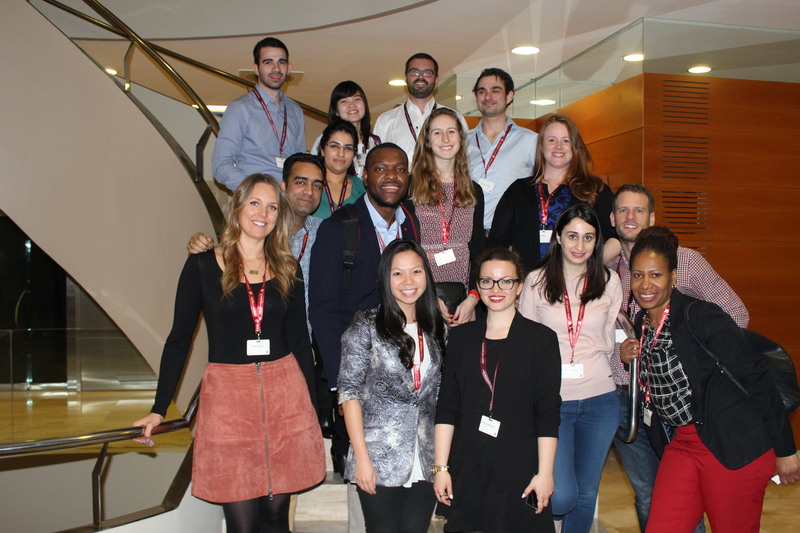 I was also pleased to find out that Cranfield University offers a master’s degree in MSc Management and Corporate Sustainability when we met some of the students from that course, who were also attending the conference. I am glad that Doughty Centre gave us this opportunity to attend, firstly by making us aware of the event and also by generously funding our trip. The take away for me from the conference was the awareness of the huge scope of the sustainability topic. Businesses really do have to incorporate innovative sustainability in their agenda, or they may find themselves lagging behind. Stalo has a BSc in Mathematics from the University of Athens. 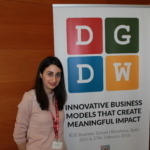 She joined PricewaterhouseCoopers Cyprus in 2008 where she worked in the audit department for 7 years with international clients in sectors such as real estate, construction, manufacturing and retail. During her employment she qualified as a chartered accountant and was promoted to the position of Assistant Manager. Stalo was also a Treasurer for Young Business Professional Women Cyprus and a committee member for Cyprus’s Accountancy Body. She is currently a full time MBA student at Cranfield University.